"Washburn Law is devoted to teaching. As professors, we are scholars in our individual fields, but each of us is also committed to excellence in the classroom. We work hard to ensure that our students are engaged, knowledgeable, and ready to practice law when they graduate." Professor Emily Grant joined the faculty at Washburn University School of Law in 2011, where she teaches courses in legal writing and estates and trusts. Prior to coming to Washburn, she taught legal writing courses at her alma mater, the University of Illinois College of Law, where as a student she served as articles editor for the University of Illinois Law Review. 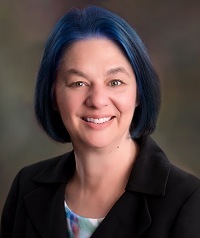 Professor Grant then joined the University of Kansas School of Law faculty as a part-time lecturer in the Lawyering Program; she was later named as a full-time lawyering professor while also working with students as part of the Academic Resources Program. Before transitioning to a teaching career, Professor Grant was senior court counsel for the Palau Supreme Court, which serves the small island nation located in the Pacific Ocean. She also clerked for the United States Court of Appeals for the Seventh Circuit, the United States District Court for the Central District of Illinois, and the United States District Court for the District of Kansas. Professor Grant is a co-director of the Institute for Law Teaching and Learning and teaches in the law school's Legal Analysis, Research, and Writing Program.